TRIBE project partners take on the trails! Last Saturday, we saw 500 runners take on the trails and tackle the muddy hills all as part of the TRIBE x Maverick Run Free Trail Race to help fight modern slavery. Among the runners who completed the race were four members of the Ella’s Home team. Ella’s Home is a safehouse which provides long-term support for the survivors of slavery and exploitation. They are one of TRIBE Freedom Foundation’s 2018 charity project partners. ‘A perfect blue sky, it was such a wonderful day to be part of the Maverick x TRIBE trail run in the South Downs last Saturday. 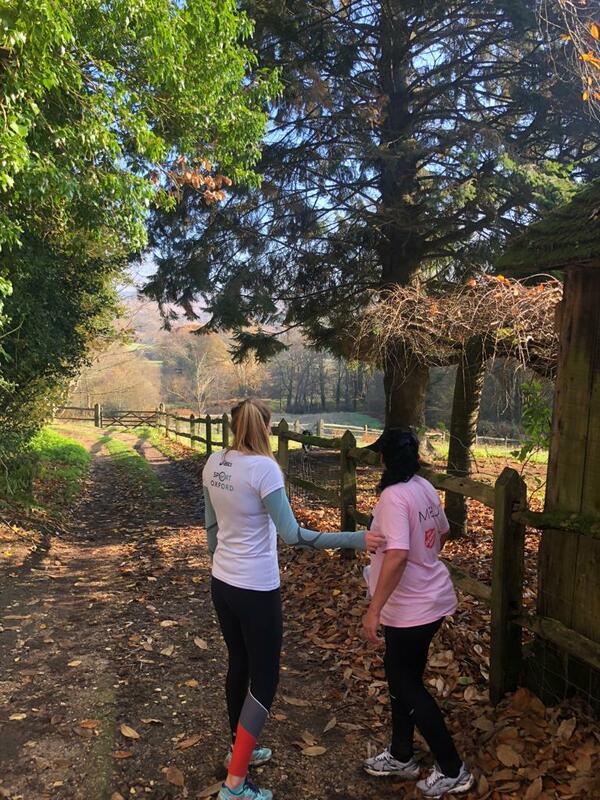 We were incredibly happy to be joined by one of our residents, Lucia* who despite having been quite unwell the day before and probably not in the best condition to run that day, was absolutely determined to take part and would not miss the opportunity. Lucia had chosen to sign up for the race after completing her first 10K race this July. She wore the t-shirt that she had worn during the British 10K earlier in the summer, one that she had designed, with the message on it: ‘Stop Human Trafficking’. Thanks to Maverick and TRIBE for the opportunity and making it such a fabulous day and great memories for everyone. Together, TRIBE Freedom Foundation has raised almost £25,000 to support Ella’s Home as one of our two charity project partners. To learn more and support the campaign click here. Liberty and Lucia stop en route to admire the view.